Tokyo's Tsukiji food market will offer a final tour of its tuna auction site on Saturday, ahead of the market's closure next month. The iconic market in Chuo Ward is a popular tourist destination, particularly among people from abroad, because visitors are given an opportunity to take a close-up look at tuna auctions. 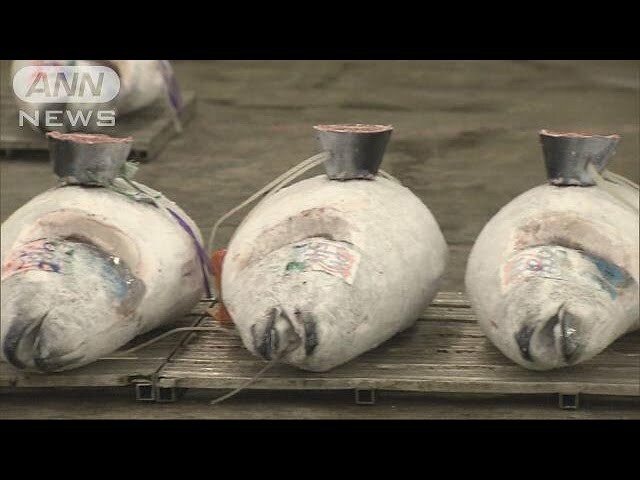 Subscriptions to Friday's tour of the wholesale area for frozen tuna reached the capacity of 120 as early as 2 a.m. (5 p.m. Thursday GMT), according to Tokyo metropolitan government officials. Friday's tour was open to the media. The auction started around 6 a.m. Tour participants were divided into two groups before entering the auction area, where 253 frozen tunas were lined up for sale. Taking photos, the visitors watched the auction enthusiastically.